Farmhouse Christmas Pillow Cover Just $5.99! Down From $20! You are here: Home / Great Deals / Farmhouse Christmas Pillow Cover Just $5.99! Down From $20! 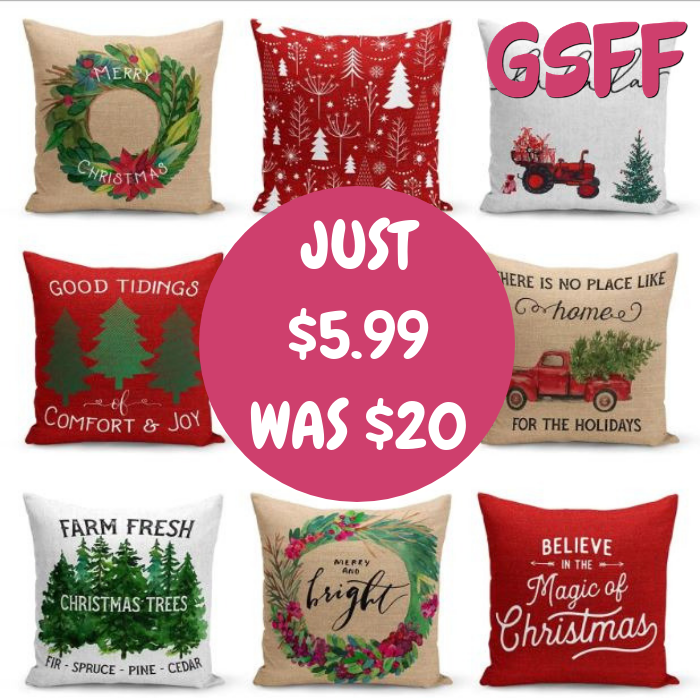 Hurry over to Jane where you can get these cute Farmhouse Christmas Pillow Covers for just $5.99 down from $19.99! Shipping is $3.69 for the first item and $1.19 for each additional item. Christmas is coming, so don’t forget to take advantage of the season’s colorful and hopeful inspiration indoors. Get a head start for the holiday season with this collection of 33 farmhouse inspired Christmas and winter-themed pillow covers. What a wonderful way to spruce up your home! These pillow covers would make excellent presents as well. Hurry and pick your designs now!